UKGBC is uniting the UK building industry using sustainability as a catalyst to positively transform the places people use every day. A charity with over 400 member organisations spanning the entire sector, we represent the voice of the industry’s current and future leaders who are striving for transformational change. The construction and property industry in the UK is facing serious headwinds. In a rapidly changing world, an industry that is historically fragmented and slow to adapt must find a way to break the mould and achieve systemic change. As Mark Farmer, chief executive of Cast Consultancy, put it in his much-quoted review of construction’s labour model, the sector must ‘modernise or die’, and his conclusion rings true when one considers the pressing sustainability issues facing the sector. The UK’s built environment accounts directly for 22% of the UK’s carbon footprint – rising to 42% if one includes emissions from road and rail transport, as well as energy used for cooking and small plug loads in buildings. A growing number of construction firms are adopting carbon reduction targets in an effort to mitigate climate change, but recent research by Dr Jannik Giesekam and others at the University of Leeds shows that these targets are disparate, varying significantly between subsectors and organisations. 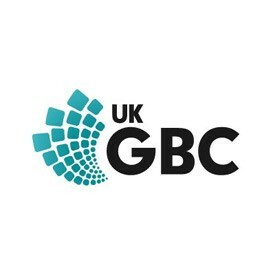 UKGBC’s own research into the commitments of its Gold Leaf members (all of whom are businesses aspiring to sustainability leadership) shows that only one of the construction firms have set themselves a science-based target, and few are striving to be net zero carbon or net carbon positive. Construction is also one of the largest consumers of materials in the UK and produces more waste than any other sector. While most construction waste is diverted from landfill, little is being recycled or reused, and the quantity of reused materials in construction seems to have decreased since 1998, although this could be due to inadequate reporting. Some built environment businesses are starting to consider how they might extract the value of materials and resources for as long as possible, and recover them upon deconstruction (ie circular business models) thereby designing out waste altogether. But this is a very nascent area, and has not yet gained traction throughout the construction supply chain. Development and construction also have a significant impact on natural spaces, plants and species. Indeed, we’re witnessing a renaissance of concern for nature, as illustrated by the Government’s commitment to the ‘net environmental gain’ principle for new developments in its 25 Year Environment Plan. The natural capital in our urban areas delivers important functions by providing tree cover, green space and biodiversity. Fortunately, investing in these areas comes with its own wealth of benefits: improving air quality, sequestering carbon, cooling cities and enhancing the wellbeing of people and communities using the spaces. Forward-thinking designers and developers are starting to put nature and biodiversity front and first as they begin to recognise not just the environmental, but also the economic benefits of prioritising these elements. A recent report by the Land Trust identified that the creation of new parkland generates direct economic benefits for surrounding areas, including lifting house prices, creating jobs and boosting business revenue for local businesses. Linked to this, health and wellbeing is a topic that has rapidly gained traction for the property industry, especially in offices, driven by proven links between healthy buildings and productive employees. The physical characteristics of our built environment can contribute directly to people’s health, wellbeing and productivity. Here at UKGBC we’re focusing on how health and wellbeing centred interventions, both in the design and operation of buildings, can deliver benefits across a range of sectors, including offices, homes and retail. Finally, this industry, like all others, can’t afford to overlook the socio-economic impact of its activities. Successful development ought to meet the evolving needs and aspirations of customers while also delivering places and buildings that allow communities to thrive, and protect and enhance the natural environment. This can best be achieved through specifically targeting social value outcomes such as jobs, skills, employment, health, connectivity and diversity, all of which will help to ensure the built environment industry makes a positive contribution to the wider economy and society. Overarchingly, it is clear that the future for this industry cannot be a repeat of the past. Whether it’s through physical conditions, resource constraints, skills shortages, or demand pressures, a shift in mindset is required to turn such challenges into opportunities and avoid major disruption. At UKGBC, we believe that leadership, innovation and collaboration on sustainability can help bring the industry together for a better built environment. Our aim is for sustainable development to become truly second nature for all built environment professionals by 2027. The report combines the survey results with an array of key industry facts and stats, inspiring sustainability success stories and best-practice case studies from businesses across the UK construction industry. It goes on to explore three drivers, four challenges and five opportunities facing sustainability professionals in the sector. This is the fifth in edie's series of sector insight reports, following similar analysis into retail, manufacturing, food and drink and the public sector. The next sector insight report, investigating the state of sustainability in the hospitality industry, will be published in May. Read the full construction sector insight report here. UK GBC's head of industry engagement Alistair Mant will appear on the Keynote theatre at edie Live to discuss how businesses can achieve climate change mitigation and adaptation through the built environment.